Contains rosemary, clove, thyme, and peppermint oil. 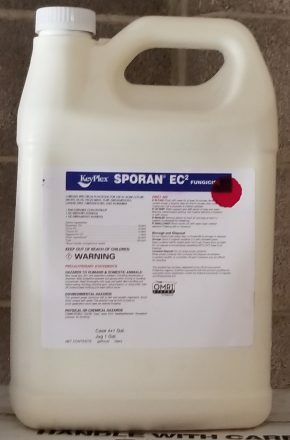 Keyplex Sporan EC2 controls diseases such as, but not limited to: Botrytis Gray Mold (strawberries), Powdery Mildews (grapes, gerbera daisies), and Phytophthora Late Blight (tomatoes). Keyplex Sporan is registered for use in most states. See full list here (bottom of page).